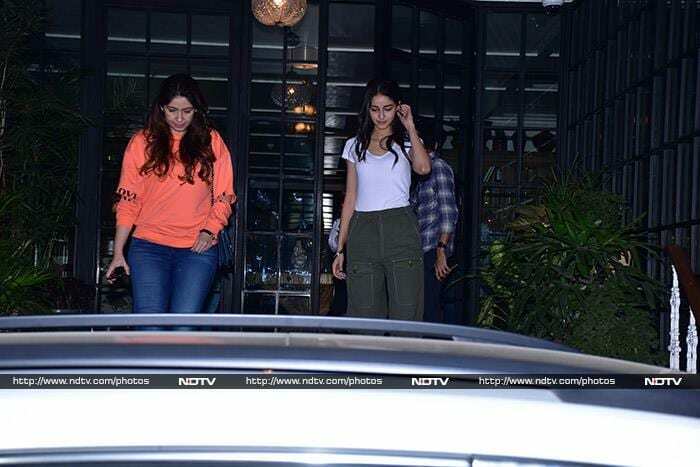 Ananya Panday stepped out with her mother Bhavana Panday for a short shopping trip on Tuesday in Mumbai. The Student Of The Year 2 actress was all smiles as the shutterbugs clicked her pictures. In another part of the town, we spotted Gauri Khan stepping out of a clinic. Aditi Rao Hydari was snapped after her salon appointment. Manish Malhotra welcomed his friends to his home for midnight birthday celebration. Karan Johar was among the attendees. Sophie Choudry was in charge of decorations and cake. Manish's nephew Punit Malhotra also joined them. Meanwhile, actor Vicky Kaushal launched the trailer of his upcoming film Uri in the city.